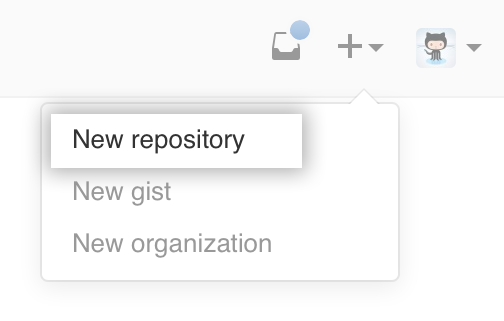 Tip: By default, all organization members can create repositories for the organization. If you choose, you can restrict repository creation permissions to organization owners only. For more information, see "Repository permission levels for an organization." There are a number of optional items you can pre-populate your repository with. If you're importing an existing repository to GitHub Enterprise, don't choose any of these options, as you may introduce a merge conflict. You can choose to add these files using the command line later. For more information, see "Importing a Git repository using the command line," "Adding a file to a repository using the command line," and "Addressing merge conflicts."